Meghan, Duchess of Sussex, has a lot on her plate at the moment. She’s pregnant and trying to adjust to her new role in the British royal family while facing public backlash, for one. 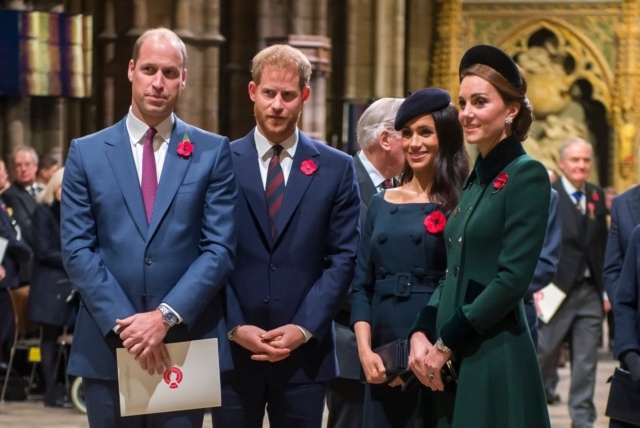 Over the last few months, the young royals have been dogged by rumours that Meghan made Kate cry at a bridesmaids’ fitting, that Meghan has been called “Duchess Difficult”, that she was trying to change the way things run and finally, that her and Harry’s move out of Kensington Palace was proof of a rift between them, William and Kate. Now the Queen has stepped in. On Thursday, she announced that Meghan would be taking on four royal patronages in an attempt to restore some order, and some royal standing to Meghan, reports The Daily Beast. The patronages include The National Theatre, the Association of Commonwealth Universities, the Mayhew (an animal rights organisation), and Smart Works (an organisation that teaches unemployed and vulnerable women new skills). 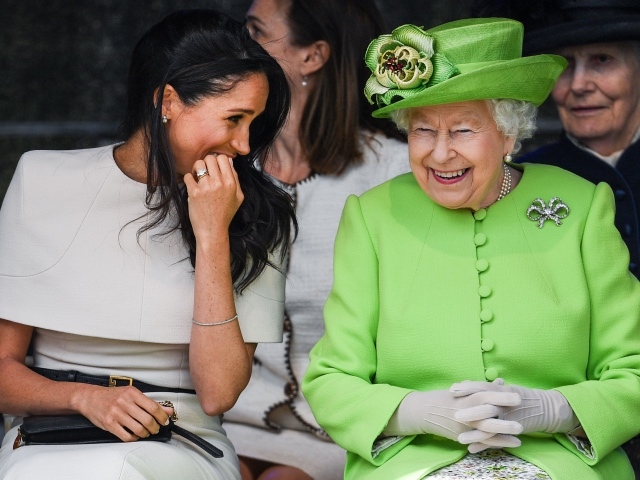 The Queen has held the patronages of the National Theatre and the ACU for 45 and 33 years respectively, so it’s a big deal that she’s trusting Meghan with them. Tellingly, as soon as the new patronages were announced, Meghan was filmed and photographed at one of the organizations, Smart Works, helping clients with outfits and learning about how the charity’s experts help them become more confident. You have to hand it to Meghan, because she’s working some serious heels while heavily pregnant. That’s a skill. Whether or not Meghan’s new duties will help to extinguish the rumours of a royal family feud remains to be seen. ← UPDATED: Does Anyone Know How Recently This Plettenberg Bay Shark Video Was Filmed? Why can’t the savage Media just leave Meghan alone. Toxic Tongues comes to kind. I think she’s a breath of fresh air to the Royal Family and hope her and Harry have a long and happy life together. Who cares where they’re going to live. They are happy and that’s all that counts.